Quatreau SmartTap50™ dispenses high volumes of filtered* drinking water with a modular choice of up to 3 functions including boiling, chilled, sparkling and/or ambient. The optional drip-tray lets you install the Quatreau SmartTap50™ in a countertop. You can do away with the kettle and you’ll never need to buy plastic bottled water again, reducing your environmental impact and saving storage space. Made in England from 316 stainless steel for quality and durability, in either Brushed or Polished finish, Quatreau SmartTap50™ includes optional built-in safety features. Reduce your environmental impact with Quatreau SmartTap50™. Reduce your environmental impact with Quatreau SmartTap50™. With unlimited Chilled and Sparkling water on tap. As the only brand to be classed with a 95% lower carbon footprint (Best Foot Forward), you’ll never have to buy plastic bottled water again. So that’s reduced carbon footprint, zero food miles and no plastics waste. The Quatreau SmartTap50™ is 33% more energy-efficient than a kettle, so you’re winning on every front. 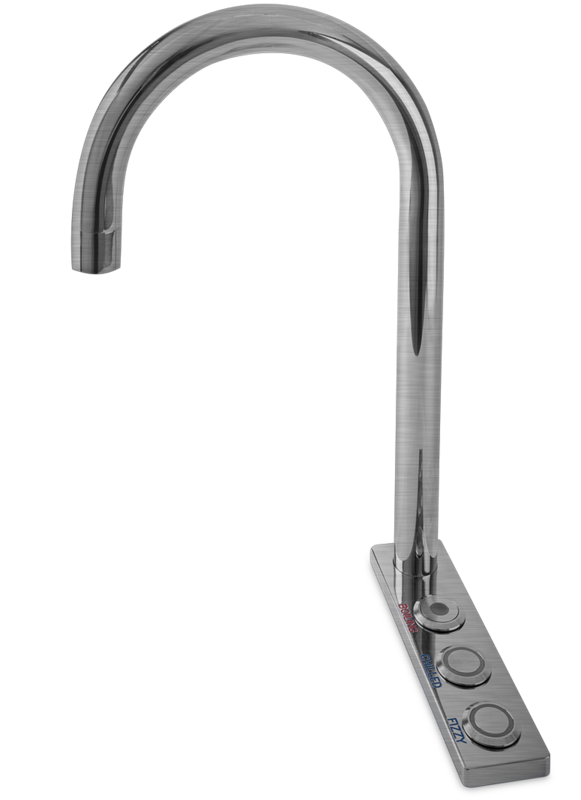 We designed Quatreau SmartTap50™ for compact convenience. We designed Quatreau SmartTap50™ for compact convenience. Unobtrusive on a countertop or installed into your workplace as a standalone drinks centre, its powerhouse fits into a standard 600mm cupboard. And thanks to our unbeatable thermal insulation, the Quatreau SmartTap50™ is the most thermally efficient on the market. Kickspace ventilation kit supplied as standard with all commercial chiller units. Quatreau SmartTap50™ dispenses unrivaled volumes of Boiling, Chilled, Sparkling and/or Ambient water for any high-traffic kitchen, office, restaurant or hospitality areas. Quatreau SmartTap50™ dispenses unrivaled volumes of Boiling, Chilled, Sparkling and/or Room Temperature water for any high-traffic commercial kitchen, restaurant, office or hospitality area including breakout areas, lounges, waiting rooms and receptions. The recessed drip tray means our Quatreau SmartTap50™ can be installed anywhere you need to provide water conveniently to your customers or clients – that’s why you’ll find it in the Eurostar Paris Business Lounge and the Hilton Hotel. You can even have your own bespoke drip tray design. 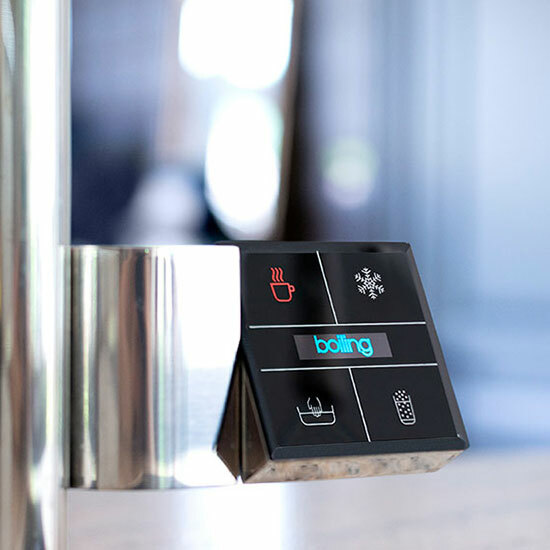 Our modular approach lets you specify 2 or 3 water functions – choose from Boiling, Chilled, Sparkling and Ambient – dispensed at the touch of LED-lit buttons. The Quatreau SmartTap50™ can be installed into your existing workplace or additional prep sink at a rear, corner or side position. Alternatively, choose the Quatreau SmartTap50™ with drainer for installation into a countertop. Quatreau SmartTap50™ contains inbuilt water filters, but upgrade to the PureH2O RODI tap water purifier and you’ll enjoy drinking water of the absolute highest quality. Quatreau SmartTap50™ contains inbuilt water filters, but upgrade to the Purity Pro range of tap water purifiers and you’ll enjoy the purest of drinking waters of the absolute highest quality. Pure water tastes superior to any other water and enhances the flavour of your tea, coffee and cold drinks. Safe, healthy and purer than bottled water brands, guaranteed. Tap water throughout the UK contains high levels of Metaldehyde (slug poison) that breaches all water regulations – our Purity Pro range is guaranteed the most effective method for removal of this and other waterborne pollutants. The Quatreau® tap range is made in England noted for exceptional build quality and reduced environmental impact. Dispenses 30 litres per hour at a constant 97-99° C ideal for preparing tea and coffee. For the ultimate convenience in high-traffic areas, specify our Infinite Boiling option for unlimited volumes of boiling water from an instant, single draw. up to 50 ltr/hr at a constant 5° C. Unlimited use. up to 50 ltr/hr at a constant 5° C. Quatreau® keeps on delivering without the airlocks found in other sparkling water taps. Production rate varies slightly due to seasonal changes in mains water temperature. 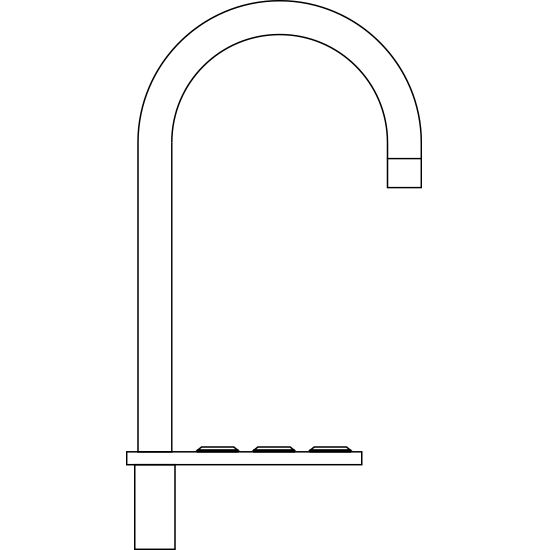 Unlimited use. Upgrade to Quatreau SmartTap50™ with the Purity Professional water purifier for the ultimate taste – it’s purer than bottled water, guaranteed. 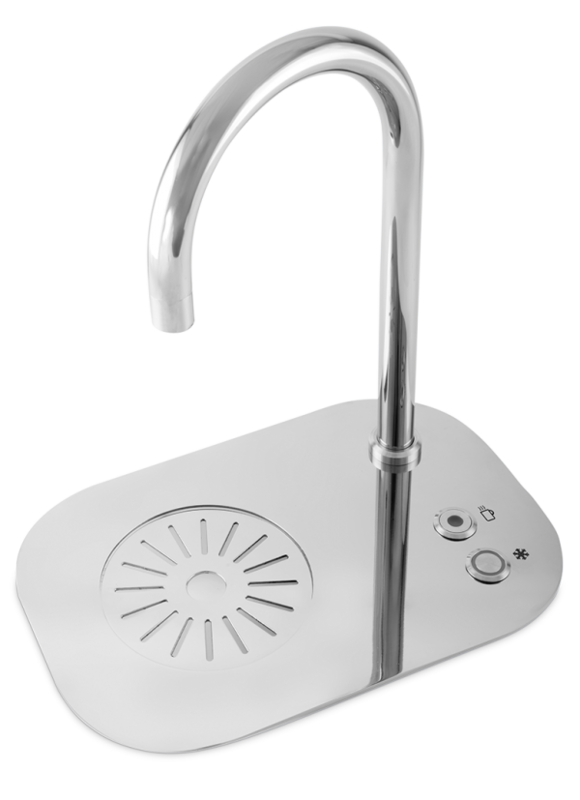 Quatreau SmartTap50™ is ideal for any breakout area or ideal as a standalone drinks station. Commercial premises usually have everything our engineers need to install your Quatreau SmartTap50™: a 15 mm lever ball valve or equivalent isolated mains cold water supply and a double 13 amp SSO powerpoint. We offer a 3-year warranty on a Quatreau SmartTap50™ with standard water filter and a 5-year warranty on a Quatreau SmartTap50™ with optional water purifier (the latter requires servicing just once a year; we recommend our Annual Service Agreement for expert service by our specially trained engineers). Quatreau SmartTap50™ requires no maintenance but should you ever have a query or problem, our technical support team is here to help. For your peace of mind we offer a 3 year warranty on Quatreau SmartTap50™ and a 5 year warranty on Quatreau SmartTap50™ with PureH2O tap water purifier.